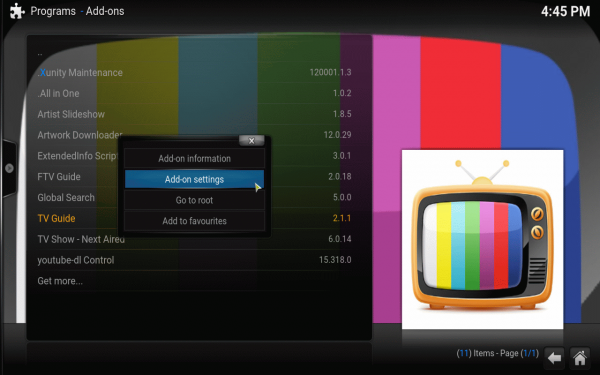 TV Guide is a Kodi XBMC plugin for EPG data to give you an overview for Scandinavian channels. NTV is an IPTV plugin for viewing Scandinavian channels primarily used by expats who miss their home channels. The NTV plugin doesn’t have the best interface so when you combine it with TV Guide’s sleek view, you can make your experience that much more awesome. You will customize the addon.ini file for TV Guide to include NTV channels and then map each channel individually. As a bonus I have included how to hide channels you do not want to see in the TV Guide channel list. This guide assumes you have the TV Guide add on (in official Programs repository) and NTV plugin installed. In case you need an NTV account register here or wish to read the NTV review go here. In case of TV Guide errors: you may need the latest beta version of TV Guide which can be found here as a zip file. Choose a channel with your mouse and keyboard, right click with the mouse or press C on your keyboard. Hover over to Addons at the top and you will see the NTV list we pasted in the addon.ini file. Scroll down to the right channel and carefully move the mouse out the right hand side. You cannot click to select and lock it into this channel so moving out carefully is key. Click Save. In case you make a mistake, here is how to remove a stream link between TV Guide with NTV. Highlight the channel you want to remove the stream for and press C on the keyboard. If you only have a mouse long press (hold it down for 3 seconds or so) the left mouse button on the channel. You will see this pop up, click Remove Stream file on the right. If you aren’t seeing the right channels you can adjust which source TV Guide scrapes. Under the Source tab you can choose the Source site to scrape, adjust this to your liking. 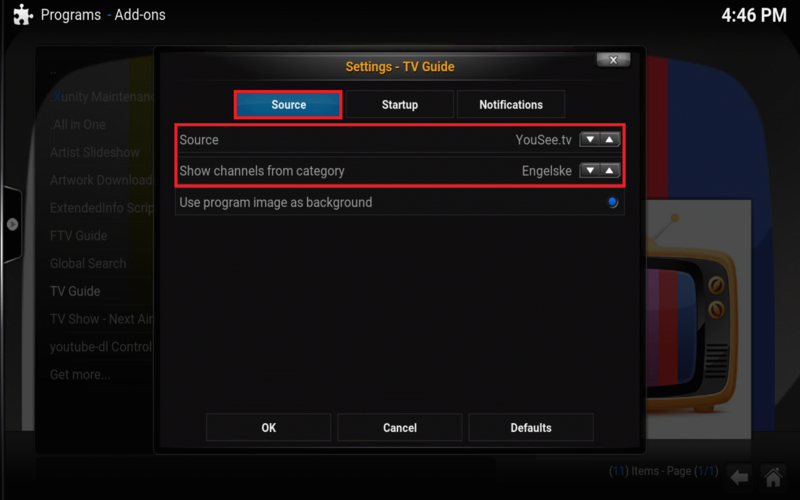 Also choose Show channels from category to make sure you get the right balanace. If you have too many channels I show you how to remove them quite easily. With a bit of trial and error you will get the combination that is right for you. There may be many channels you don’t want to see in the TV Guide list, here is how to remove them. Download SQLite Browser and install it on Windows or Mac OSX. Now you have tweaked the TV Guide plugin to integrate with NTV channels and removed unnecessary channels from the list. I have noticed that if I try to exit Kodi after using TV Guide with integration it hangs on exit. This is only a problem if you exit the Kodi program. I have written to the TV Guide plugin developer about this issue but haven’t heard anything yet.